CHIKYU, which means “the earth”, is the world largest and most advanced scientific drilling vessel capable of drilling to 7000 m below the seabed at about 2500 m water depth. 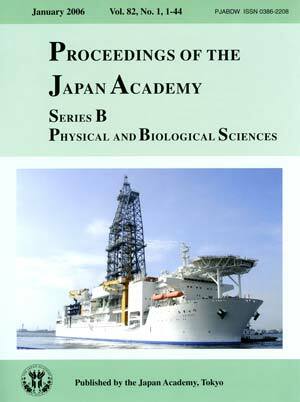 In July, 2005, it was completed in the Nagasaki shipyard and started its operation by the Center for Deep Earth Exploration of the Japan Agency for Marine-Earth Science and Technology (JAMSTEC). The central tower is called “derrick”, in which drill pipes (9.5m long each) are successively connected as drilling proceeds. Specifications of the CHIKYU are as follows: overall length, 210 m; maximum width, 38 m depth, 16.2 m; derrick height, 70.1 m; gross tonnage, 57,087 tons; maximum speed, 12 knot; riser drilling, 2500 m; length of drill string, 10,000 m; and complement, 150 persons. It houses multiple research facilities for physical, chemical and biological analyses for sampled cores. It is equipped with the riser drilling system to prevent extrusion of high-pressure gas or fluid during the drilling. 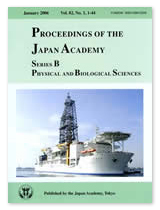 Major tasks of the CHIKYU are (1) first drilling to the seismogenic zone for direct observation, monitoring and sampling at the plate boundary to investigate the mechanism of great earthquakes, (2) first drilling to the upper mantle for direct observation of the Moho discontinuity (crust-mantle boundary) and sampling of the upper mantle materials, (3) sampling of microbes living in the crust in extreme conditions, and (4) sampling of sediment cores for understanding the record and cause of global environmental changes and prediction of the future changes. These scientific drillings are a major part of an international program named the Integrated Ocean Drilling Program (IODP).